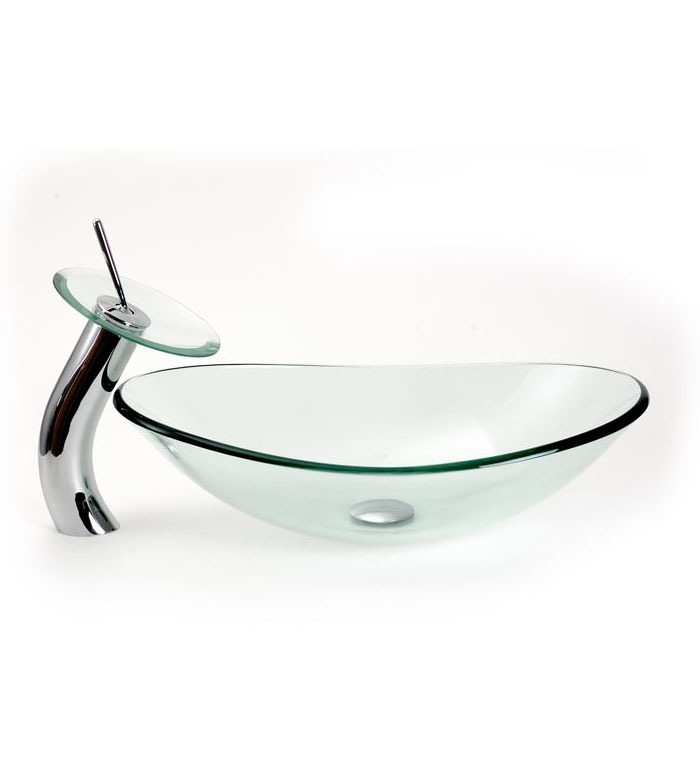 Frosted/Clear oval vessel sink with standard/waterfall faucet combo (349SPECIAL), BathImports 70% off Vessels, Vanities, Shower Panels. 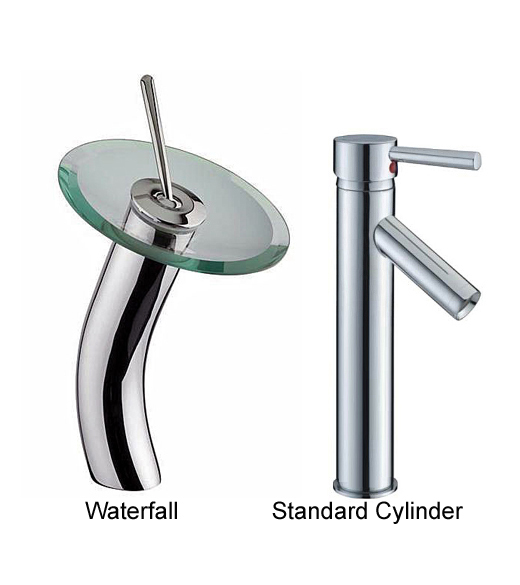 Contemporary style meets soothing relaxation with this vessel sink and waterfall faucet combo. 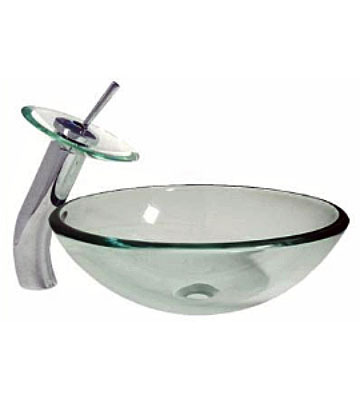 Create your own personal spa and watch the shimmering water stream down in a fashion like no other faucet. Experience the same peaceful tranquility of waterfalls and streams in your own house. 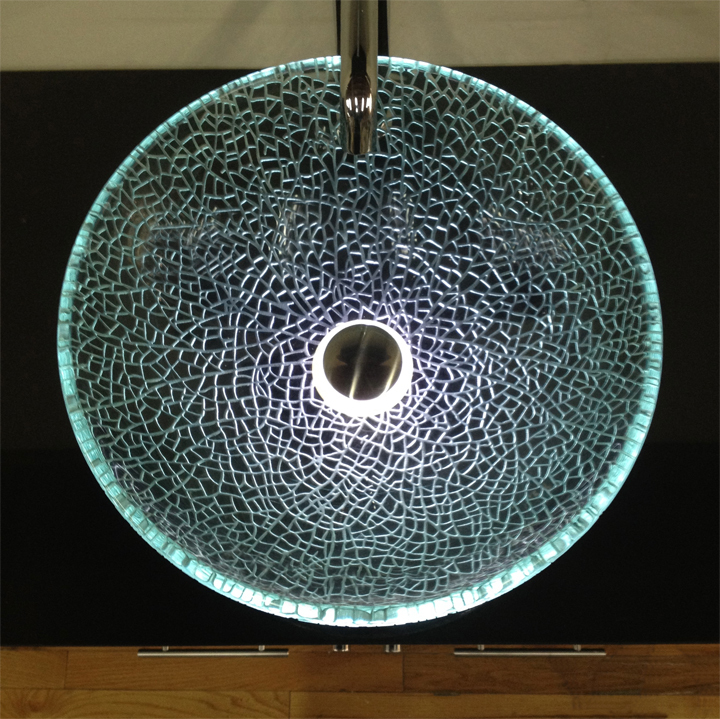 The sink is a oval clear vessel sink with a white frost that has a slight green tint, depending on the lighting. This is a vessel for those looking for a sink that will fit any application at a low price. 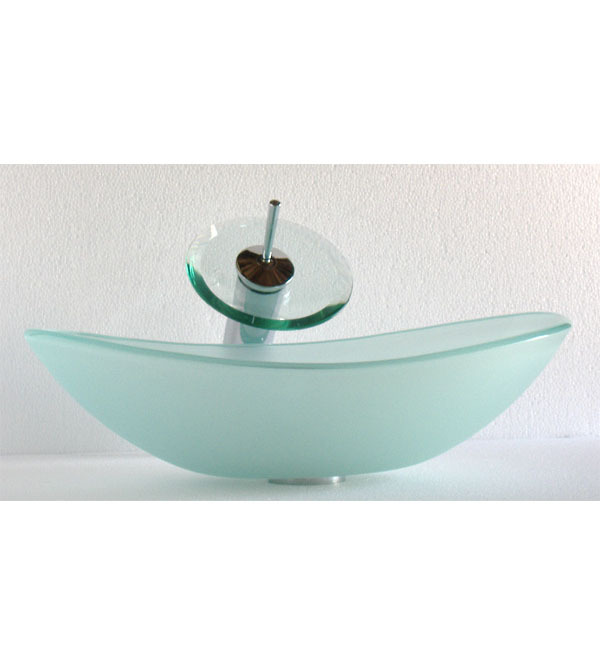 The vessel is .7" thick tempered glass, which is .2" thicker then most vessels on the market. Height: 6 1/4" at highest point. Design type: Clear/Sprayed on frost then baked.